Much like Puella Magi Madoka Magica, Lagrange: The Flower of Rin-ne is the kind of series that starts off saccharine sweet before eventually expanding into and hinting at something darker and more angsty. While Lagrange doesn't quite reach the same depths of unbridled despair that PMMM does, it manages to still be deep enough to counteract its otherwise derivative veneer. This isn't just another mecha series. Madoka Kyono is a good kid. She is the sole member of her schools 'Jersey Club' and makes it her mission to help people in any way that she can. She goes so far as to wear her bathing suit under her clothes at all times, just in case. So when she's approached by a mysterious girl named Lan to pilot a giant robot in order to protect her home town of Kamogawa, how can she say no? The whole set up is rather cutesy with the focus aimed squarely at Madoka (that name seems to be popping up a lot lately). While she may be cutesy and kind hearted, we get a little bit more than marshmallow fluff. One element of the series that is both a blessing and a curse is the rather large cast of characters. Even though it can be rather difficult to keep track of who's who, there are a couple of characters that keep things interesting and who have a tendency to hint at what's to come. 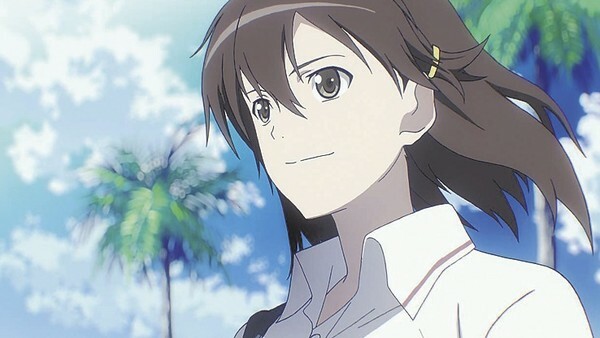 The last episode of this season in particular shows the true nature of one character who could very well change the entire direction of Lagrange season 2. Unfortunately, if you're looking for a stone cold action filled mecha series, you're out of luck. This series is far more focused on the exploits and character development of Madoka, Lan and Lan's polar opposite, Muginami. This is in no way a bad thing, but if you're expecting a tonne of robot action, you may wind up being disappointed. However, if you like fan service, Lagrange has it in spades, albeit rather well balanced and not particularly forced... apart from the eel scene. The animation quality throughout the first season is good but not overwhelming. CGI elements are generally restricted to the mecha battles and manage to refrain from being standing out too much against traditional cell background. Production IG have had a lot of experience with the blending of CGI mecha and traditional animation so it's no surprise that they nail it while Xebec have an impressive body of sci-fi work up their sleeves such as Fafner and Space Battleship Yamato 2199 (geez I hope Madman license this!). The mecha designs are rather distinctive, using more organic lines and lithe frames than your usually bulky Gundam or Gasaraki suits; think more Eureka 7 but not quite the dandy-man designs of Star Driver. Each of the action sequences, while few and far between, are dynamic and well choreographed however there seems to little to no threat to our main protagonists. There is something big being hinted at in this first season of Lagrange and if it all comes together as promised in the next season, things are about to get catastrophic which will make all of the lackadaisical set-up of season 1 all the more impactful. That said, the first season feels very much like one massive set up with very little in the way of a "pay off" in this first 12 episodes. 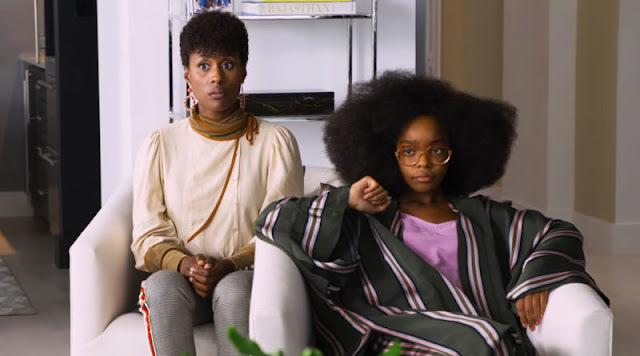 It's nice to see the characters develop and to pull at threads of potential story line but this ultimately makes for a rather unsatisfying watch. 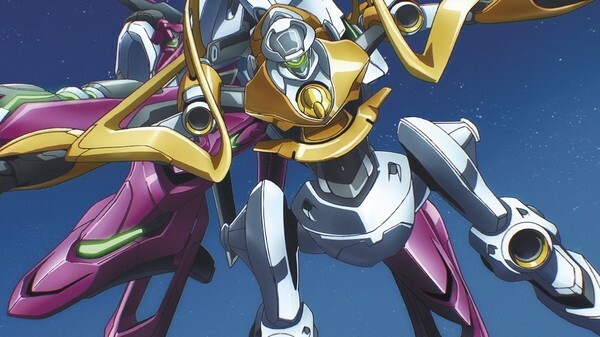 IF, and that's a big if, all of the set up from this season comes to fruition and delivers twists, turns, action and catastrophe as hinted at throughout, Lagrange: The Flower of Rin-ne may just be a masterstroke of the mecha persuasion. Time will tell. 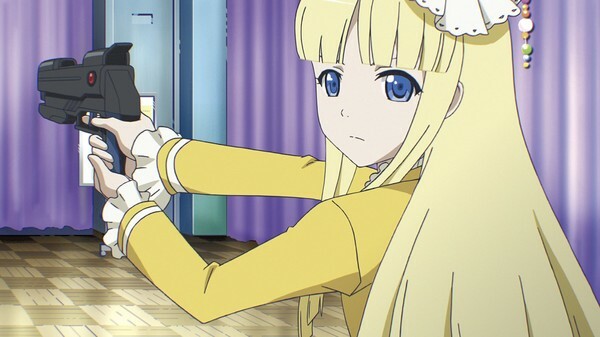 Overall this first season is entertaining, well animated and promises a great deal. Also, Lagrange features some verrrry catchy OP and ED themes by Megumi Nakajima and an incredibly well animated OP sequence which I watched for each episode it was just that pretty. 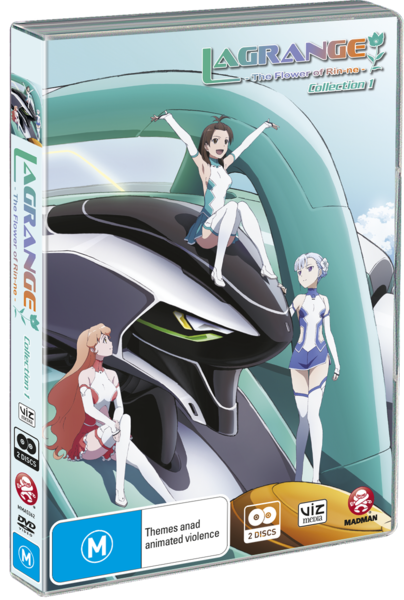 Lagrange: The Flower of Rin-ne Season 1 is available on DVD now and Season 2 is available for pre-order.